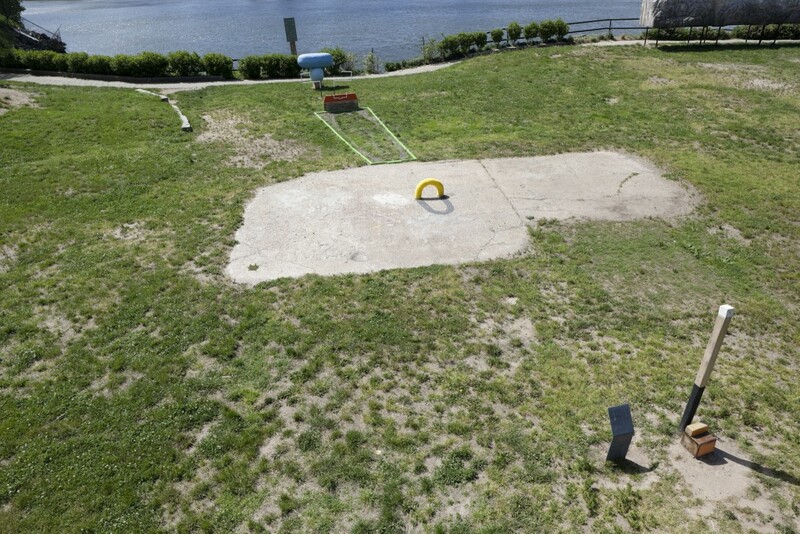 9' x 11' x 50' approx. 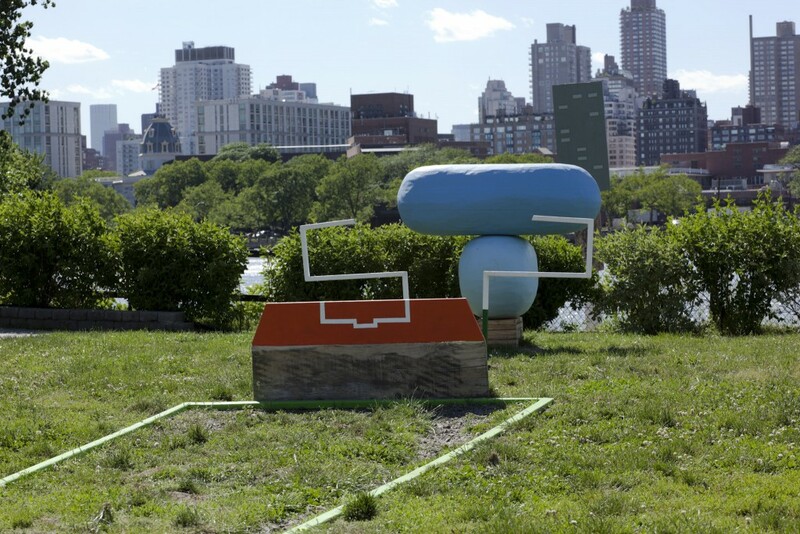 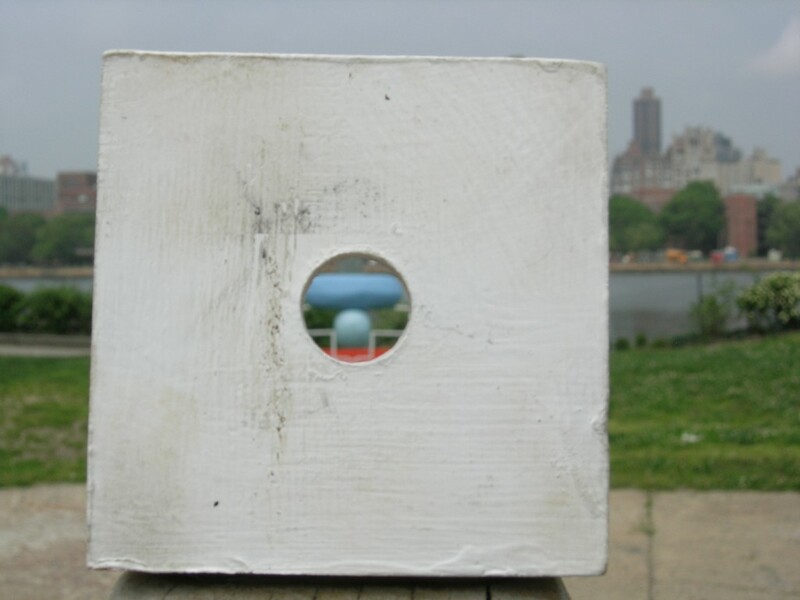 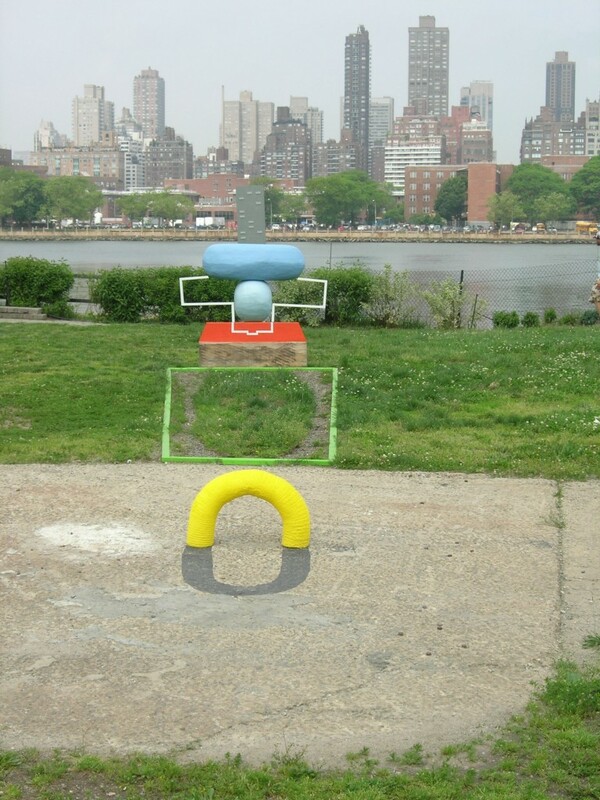 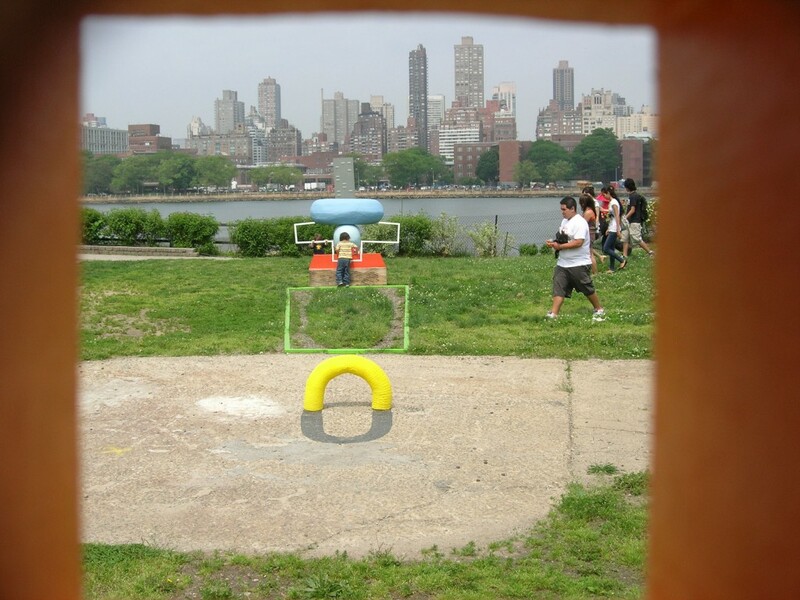 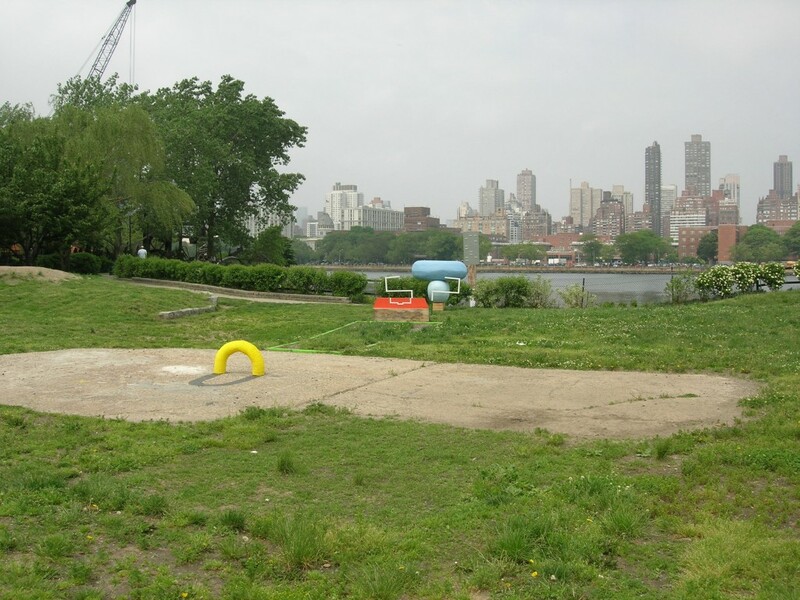 From a singular viewing point, a group of stand-alone objects align to create a rising totemic sculpture where unique objects respond to specific environments -- skyline, east river, fence, path, grass -- and incorporate the landscape as a sculpted material. 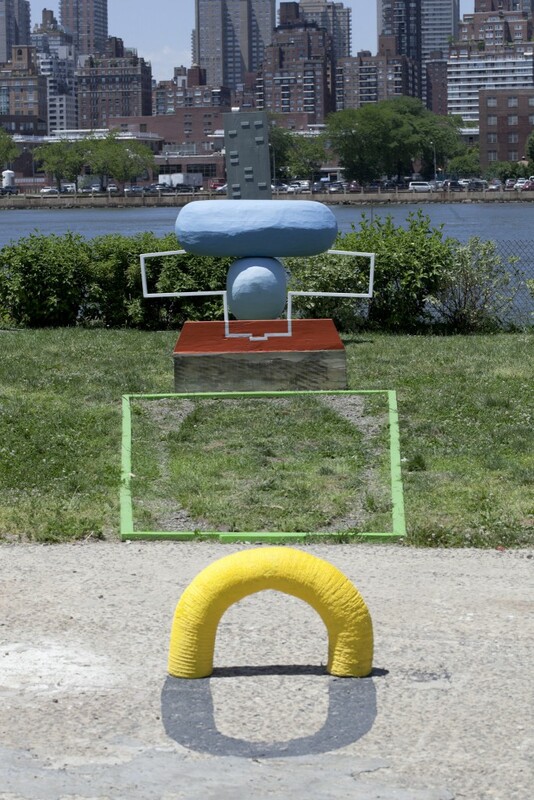 This work compresses space and depth of field, playing with the conventions of physical space, to mimic the experience of viewing two- dimensional work.